108 registered members (ArrestMeRedZ, 2015_PSD, Anduril, Astro14, Avelectro, 18 invisible), 2,184 guests, and 31 spiders. since i'll be in Canada and Knowing that you can get an 18.9l(5Gal) pail of Tune-It! oil for around $50, I Have a couple questions for our folks In Canada/or in the states living near the Border. Firstly, is the "Tune-It!" 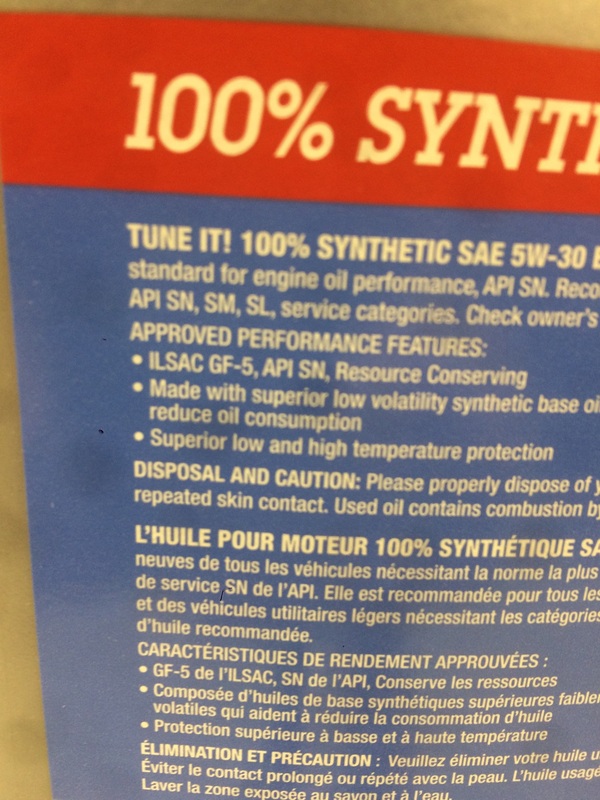 Branded oil still re-refined oil like Canadian supertech was(from Saftey Kleen)? Secondly, would I have any problem getting a 5 gal bucket of oil over the border, through US customs? not planning on trying to smuggle anything, or have it look like I'm trying to, likely have it sitting in the back seat Foot well. Whether it is made by safety kleen or is partly recycled wouldn't matter to me. Call U.S. customs if you are concerned or put it in the trunk. Isn't oil normally much cheap in your country? I think you have this smuggling thing all backwards. Not trying to offend you. even Store brand oil doesn't usually go that Cheap unless it's "on Sale"
and if the stuff I asked about ISN'T the re-refined stuff, I don't want it. I would Love to use "recycled" oil. I was a fan of the Valvone Next Gen(or whatever they called it). but in my neck of the woods, finding re-refined oil is nearly impossible for the average Joe. There are only a couple shops that use it in the general area, both at least 30 miles from me, and they only offer it in a full service oil change. I like doing things myself. down here in the states, saftey kleen has no interest in selling oil to the general public, or mass market retailers. they are content to sell it to shops they already have disposal contracts to. Last edited by earlyre; 02/08/18 05:14 PM. Here is the label for the Synthetic version. Last edited by Snagglefoot; 02/08/18 05:39 PM. Looks to me that is the price for a bucket of conventional oil. How much is it in the States? Last edited by Snagglefoot; 02/08/18 05:40 PM. I�d be concerned the border guard would not believe your story you found cheaper motor oil in Canada than in the USA. It�s usually the other way around. It's still the same stuff as far as I know, and it shouldn't be a problem getting it over the border. Of course, the situation was different (it was obviously something done by the oil company in my case), but a few years back a pail of Delvac 1300 15w-40 I got from Imperial Oil had a U.S. Walmart price tag on it. yeah, the few times I have seen a pail of motor oil down here, it's usually 15w40, or a Monograde, or on one rare occasion, 10w30. 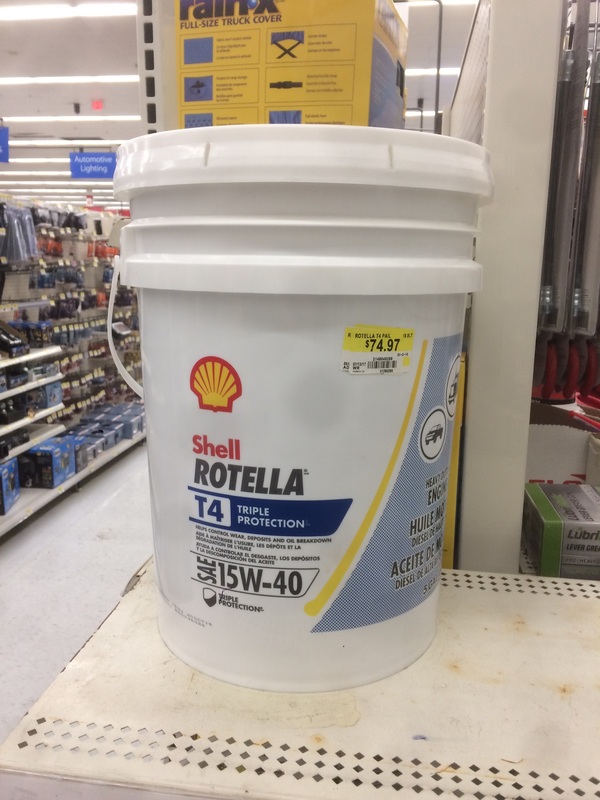 Our pails of Walmart house stuff up here really provide some good selection, including hydraulic oil, transmission fluid, and ordinary PCMO. It certainly does help a farmer looking for products like that, and $50 a pail is hard to beat.